If you want to skip to a particular section of this policy please click on the relevant link below. What does Woodlock Services do? What personal information does Woodlock Services collect and why? Who does Woodlock Services share my personal information with? How does Woodlock Services keep my personal information secure? Woodlock Services provides a range of business services to our publishing partners. The services are comprised of Human Resources, a shared Accounting Service, and Building, Network & Administrative Services. 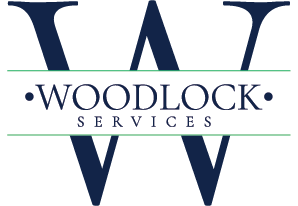 Woodlock Services provides support that allows our client companies to focus on and grow their core businesses. We are part of a larger media group, The Agora, headquartered in Baltimore, Maryland, and with offices in more than 20 countries around the world. You can learn more about The Agora here. We collect information that visitors to our website provide to us when they use our “Contact Us” page to request information about our services or when they submit their curriculum vitae to apply for vacancies advertised on our Website, and information that allows us to personalise and improve your experience of our services, Website, and communications with you. All such information is held on secure servers. We retain personal information we collect from you where we have an ongoing legitimate business need to do so (for example, to provide you with a service) or to comply with applicable legal requirements). If you wish to access, correct, update or request deletion of your personal information, you can do so at any time by contacting us using the contact details provided under the “How to contact us” heading below. We may not be able to delete your personal information if we have to retain it in order to comply with our legal obligations, to perform a task carried out in the public interest, to establish, exercise or defend any legal claims or to exercise our right of freedom of expression and information. If you have any questions or concerns about our use of your personal information, please contact us by using the Contact Us link on our Website. The data controller of your personal information is Woodlock House Support Services Ltd.